Our History | The Old World Olive Co.
Having left their corporate jobs in 2007, and travelling around the world, Shasta Fase and Cory DeLong felt most comfortable in the Tuscan regions of Italy. With tasting rooms full of robust extra virgin olive oils and the sweet, rich flavors of balsamic vinegars, they realized it was an experience in food they must bring back home. This is where the idea for Old World Olive Press, now Old World Olive Co. was born. 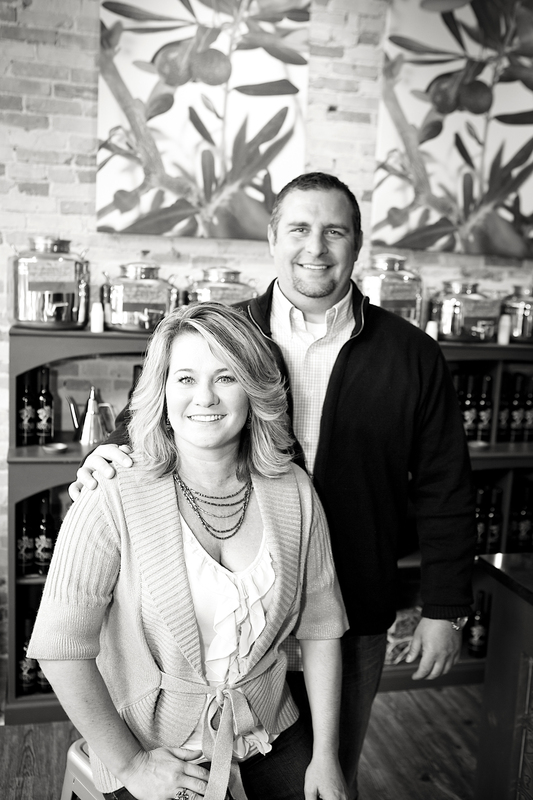 They opened their first store in Rockford, MI in 2009, and it was so well received that their second location was opened in Plymouth, MI in June 2010. In 2011, they opened their first downtown Grand Rapids store in the beautiful and historic Flat Iron building with the second downtown location opening in 2013 in the new Grand Rapids Downtown Market. Shortly afterwards, followed a unique tasting bar at the Knapp Meijer’s in GR. Yes, it’s been a busy few years, and they have you to thank for this success. 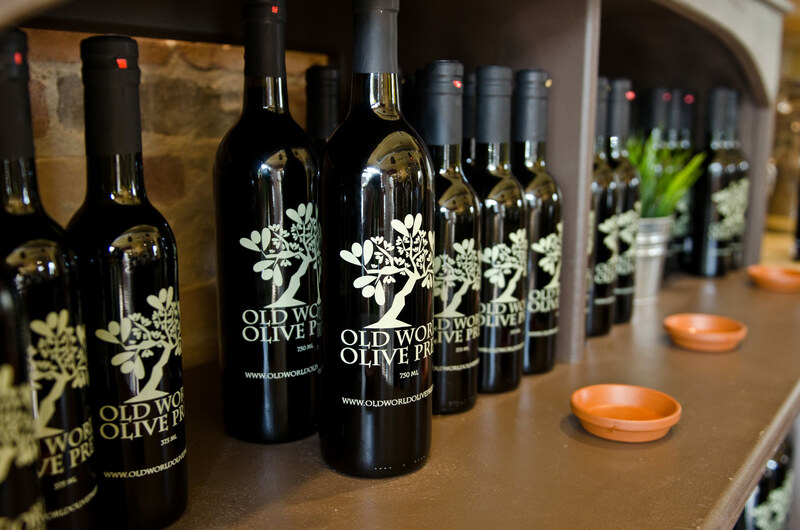 As you walk through the doors of any of the Old World Olive Co. store locations you immediately feel the nod to the old world. 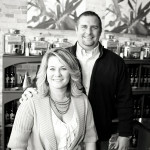 Shasta and Cory’s desire and commitment to help produce great cuisine in every home and restaurant has become a reality. With over 50 authentic flavors of pure extra virgin olive oils and premium balsamic vinegars showcased throughout their stores’ tasting rooms – you soon discover that there is a flavor for every palette. “We believe our customers are not only health conscious, but they want a better food experience. Our goal is to continually provide only the highest quality, healthiest products. And we are dedicated to ensure that only the freshest oils and balsamic vinegars are represented in our stores.” In order to do this Shasta and Cory work with artisan farms from around the world – who harvest only at the peak of harvest in a first press, cold press, old world procedure. So come in and experience for yourself the flavors of the world, and the vast opportunities for you to rediscover your love of all things food again. Authentic old world awaits your visit. We proudly guarantee that our products will exhibit only the freshest, finest quality extra virgin olive oils and balsamic vinegars available. And that we now are certified to offer Ultra Premium Extra Virgin Olive Oil – the most stringent certification available.